Mass migration and globalization are creating new and deep challenges to education systems the world over. In this volume, some of the world’s leading researchers in multicultural education and immigration discuss critical issues related to cultural sustainability, structural inclusion, and social cohesion. 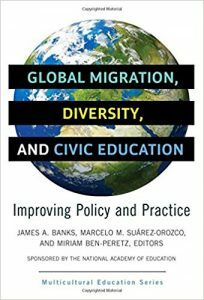 The authors consider how global migration is forcing nation-states to re-examine and reinvent the ways in which they socialize and educate diverse groups for citizenship and civic engagement. These chapters also address how schools can help migrant and immigrant groups attain the knowledge, values, and skills required to become fully participating citizens while retaining important aspects of their home, community, languages, and culture. Case studies from the United States and Israel are used to illustrate how these concepts are manifested in two immigrant nations. An examination of the theories, empirical findings, and promising practices related to education for citizenship. Descriptions of large-scale migration and its influences on curricula, modes of teaching, and civic education. An interdisciplinary overview of the issues facing immigrant children in schools by Carola Suárez-Orozco and Amy K. Marks. Implications for reforming schools in ways that will help students from diverse racial, ethnic, cultural, and linguistic groups become effective citizens. A comprehensive chapter on second language learning by Guadalupe Valdés, a leading expert. Recommendations for preparing teachers to meet the needs of diverse student populations.